A satellite that’s meant to blaze a trail for Seattle-based BlackSky Global’s Earth-imaging constellation rose into orbit tonight atop India’s four-stage PSLV-C35 rocket. 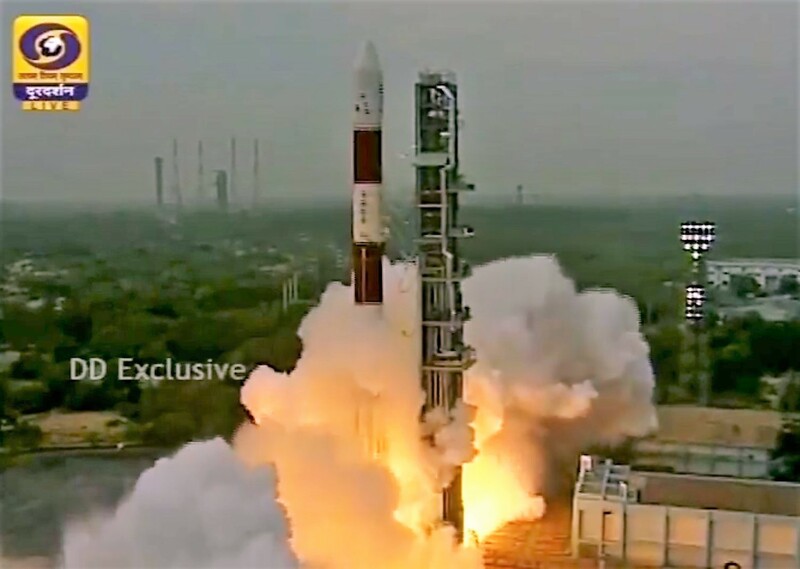 BlackSky’s Pathfinder 1 was among eight satellites launched from India’s Satish Dhawan Space Center in Sriharikota at 8:42 p.m. PT Sept. 25 (9:12 a.m. Sept. 26 local time). Over the course of more than two hours, the spacecraft were deployed into two separate sets of orbits. For India, the star of the show is the 800-pound SCATSAT-1, which will provide data for improved weather forecasting, particularly for tropical cyclones. But for BlackSky Global, a subsidiary of Seattle’s Spaceflight Industries, it’s all about Pathfinder 1. This entry was posted in GeekWire and tagged BlackSky, India, Satellites, Space. Bookmark the permalink.